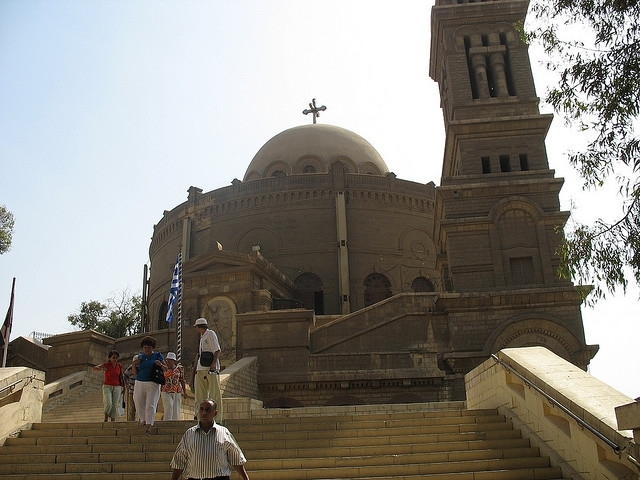 Situated in the district of Old Cairo, is an area known as ‘Coptic Cairo’, the first settlement of Christians in central Egypt back in the 10th Century with some records suggesting an earlier period. The word ‘Copt’, simply means Egyptian Christian to which they formed their own Christian beliefs and societies. 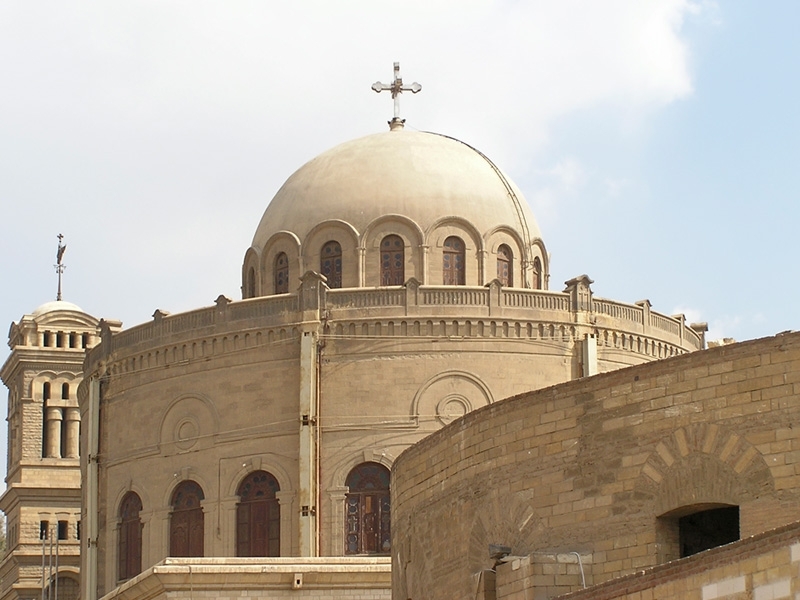 Located about 30 minutes from Downtown Cairo, Saint Georges Church sits in the heart of Old Coptic Cairo in the Old Cairo district. It is located amongst several other Churches in a private Christian community which has been established and preserved since the 10th Century. 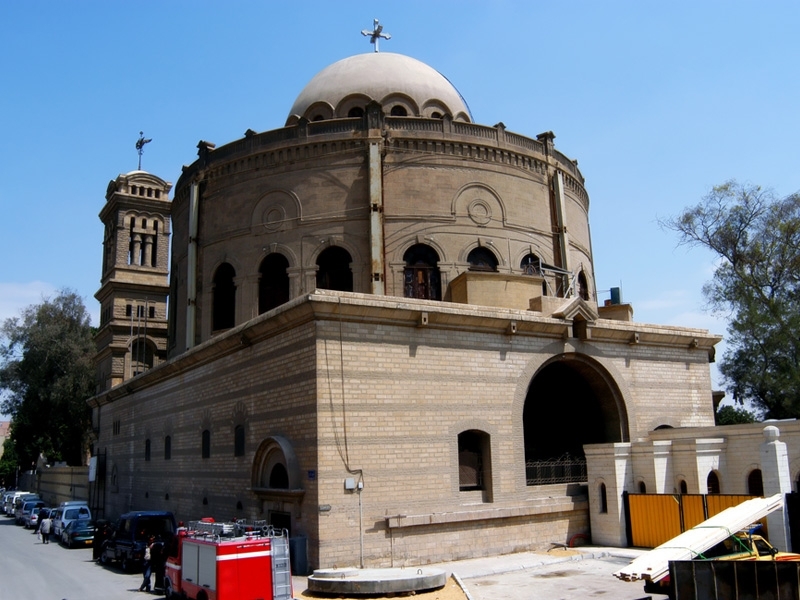 The Church of Saint George, which is Greek Orthodox,was built by Athanasius during the reign of Ibn Marwan, Governor of Egypt, and was mentioned in the History of the Patriarchs of the Coptic Church and by Al-Maqrizi. 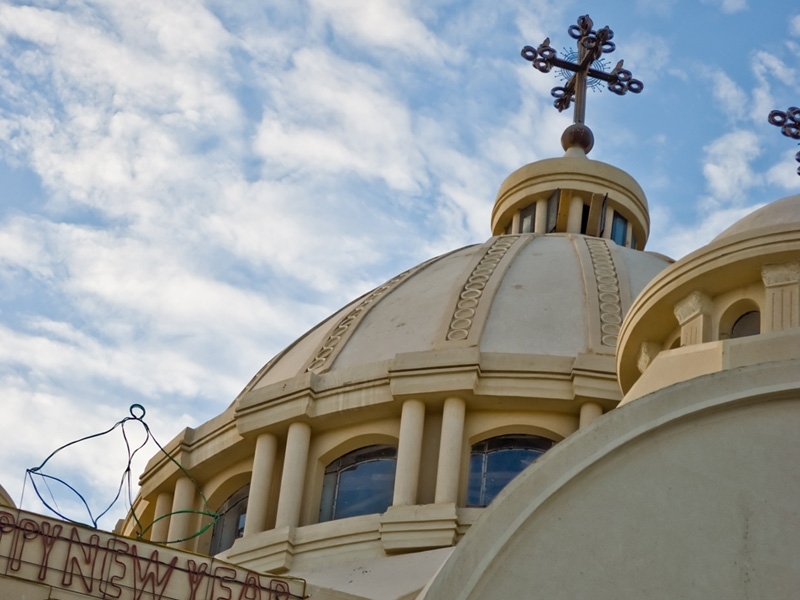 The church was destroyed by fire in the middle of the last century and later reconstructed without cupolas. The modern church, of the four pillar type, is without architectural interest, but the Qa’at Al-Irsan (the Nuptial Hall), which belong to the complex, is a small palace from the 13th/14th century measuring 15 by 12 meters. The hall contains beautiful tracery and carving reminiscent of ornamentation found in some Cairo mansions from the Mameluke Period.